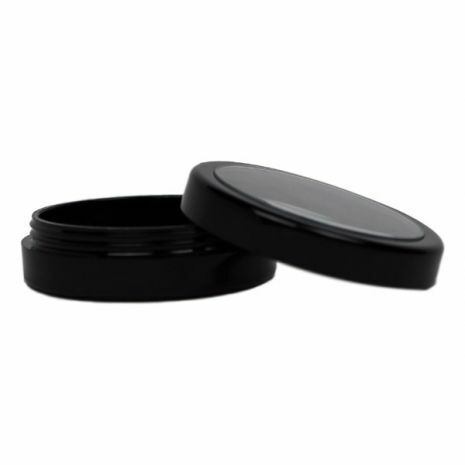 These black jars are molded in phenolic material, both jar and closures. Although it's hard to see the covers have a clear plastic insert in them so your product is visible. These containers are commonly used for pancake makeup, lip balms, eye shadows and salves.